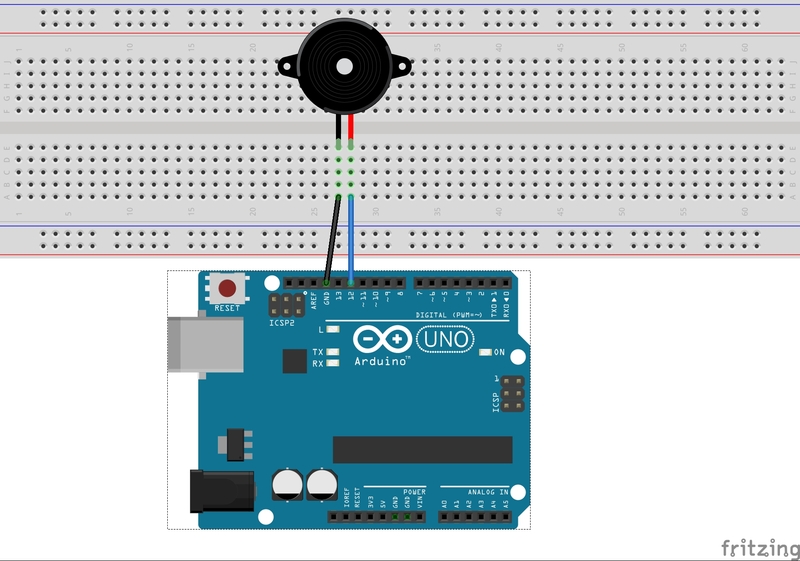 Learn how to connect a buzzer to your Arduino. You can use a buzzer whenever you want to make some noise. An active buzzer has a built-in oscillating source, so it will make sounds when electrified. But a passive buzzer does not have such source, so it will not tweet if DC signals are used; instead, you need to use square waves whose frequency is between 2K and 5K to drive it. The active buzzer is often more expensive than the passive one because of multiple built-in oscillating circuits. In this experiment, we use the active buzzer. 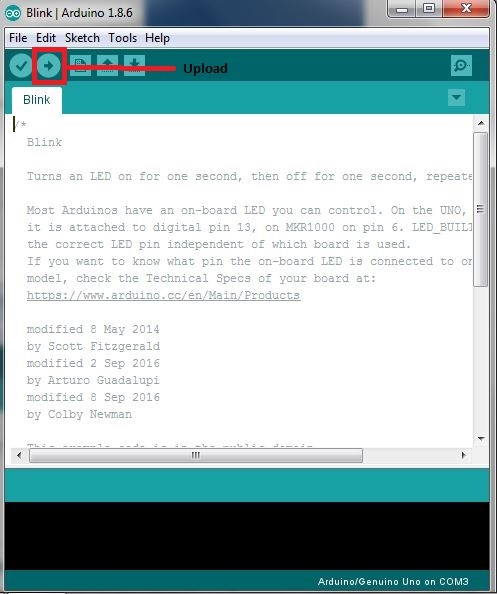 Click the Upload icon to upload the code to the control board. If "Done uploading" appears at the bottom of the window, it means the sketch has been successfully uploaded. You should now hear the buzzer beep. * function: you should hear the buzzer make sounds.